In the battle of maintaining young looking skin, special attention should be paid to the delicate skin around the eyes. Without their own oil glands, the eye area is often the first place on our faces to show stress and fatigue. Our eyes are not only the window to our souls but also to what is going on in our hectic lives. 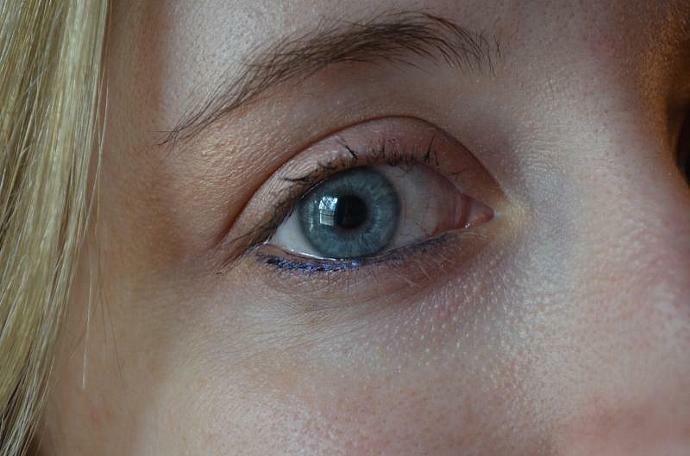 The tender eye area may become dry and show signs of creases and fine lines. As part of your skin aging prevention program, fight back by starting now. 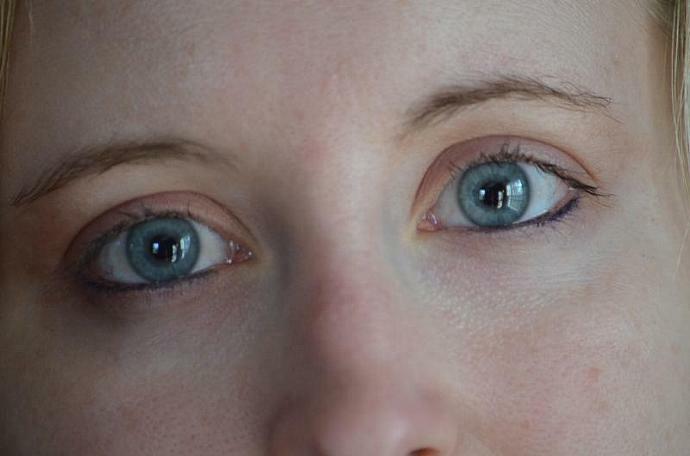 A sure sign of lack of rest or perhaps dietary deficiencies are dark circles under the eyes. Although dark under eye circles can be hereditary, usually this annoyance is caused by fatigue and temporary. Being a mild natural bleach, almond oil can help lighten those circles. 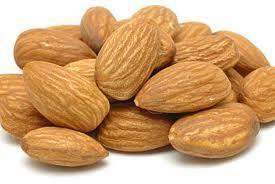 Almonds are an excellent skin food and being its oil is light and easily absorbed, very popular in skin care. Lanolin has been used for centuries for not only soft skin but many situations in need of waterproofing. The ability of a cream or balm to protect and prevent the loss of moisture from delicate skin elevates a typical moisturizer to a great beauty aid. By providing the skin with a layer of oil, lanolin works as an emollient, which means it prevents moisture loss and rehydrates. The name comes from the Latin words LANA for wool and OLEUM for oil. Really a wax, lanolin has always just been called wool fat. 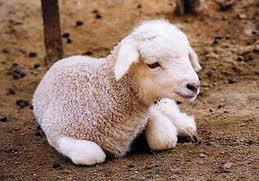 The properties of lanolin were discovered from the sheep which normally secrete this material. Their wool coats are protected from moisture and cold as water sheds right off. A very animal-friendly product as the sheep are not harmed in any way. Farmers annually sheer their sheep for the comfort of the animals and to obtain the wool. Prior to washing the wool this greasy substance is extracted. 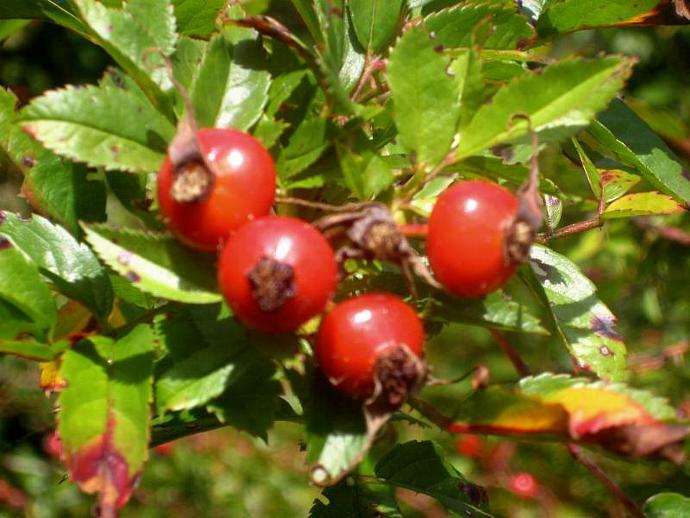 Rosehip seed oil can often be seen in products labeled for mature skin. High in Vitamin A, Vitamin E, and essential fatty acids, this precious oil is very effective for healing and rejuvenating dry or damaged skin. It is a very gentle hydrator which means it quickly penetrates skin. High in beta-carotene, carrot seed essential oil helps with skin elasticity. Last, we have the amazing antioxidant Vitamin E which is vital in protecting skin cells. This eye cream is to be used before going to bed. Apply just a wee bit around the delicate eye area, wait about ten minutes to let soak in and then wipe off any excess with a tissue. Be careful not to stretch the skin. Although lanolin is a natural product, some people may have an allergic reaction causing itching and redness. If you are allergic to wool, it is very likely you cannot use a product containing lanolin. Should you have a nut allergy and are leery of almond oil, let me know and we will substitute apricot oil in its place. Apricot kernel oil is a good alternative as it is a seed oil high in Vitamin E and is easily absorbed. The lanolin used is 100% Pure Lanolin which means it is "anhydrous", containing no water. Solid and waxy in its natural state it is U.S.P. 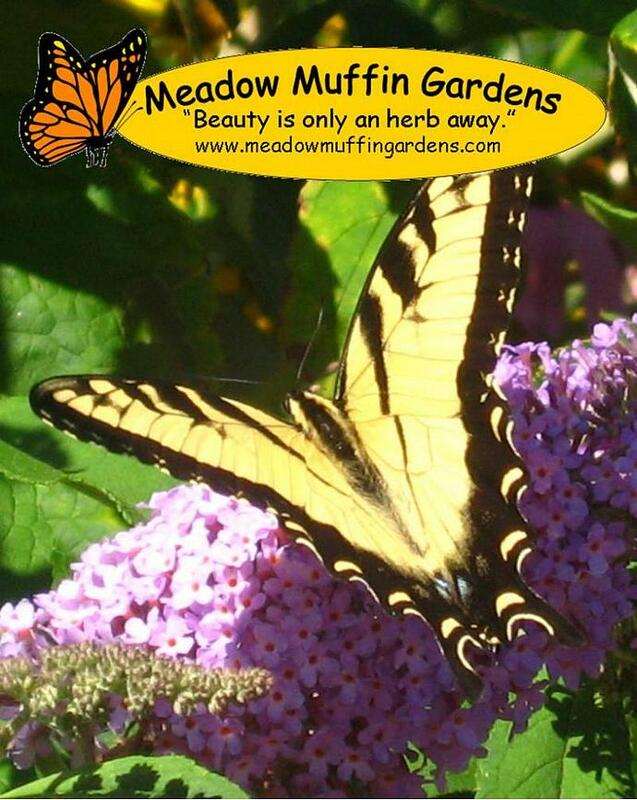 grade, which means it is of sufficient purity to meet or exceed requirements of the U.S. Pharmacopeia (USP). Sheep definitely have a distinct odor from this natural wax found on their wool. The refining process helps make this product more appealing to the consumer by removing impurities and some of the odor, so though it still carries the natural smell it isn't the "barnyard" smell of animals. If you are pregnant please request I use Frankincense essential oil instead of the Carrot essential oil. Carrot essential oil should not be used during pregnancy. 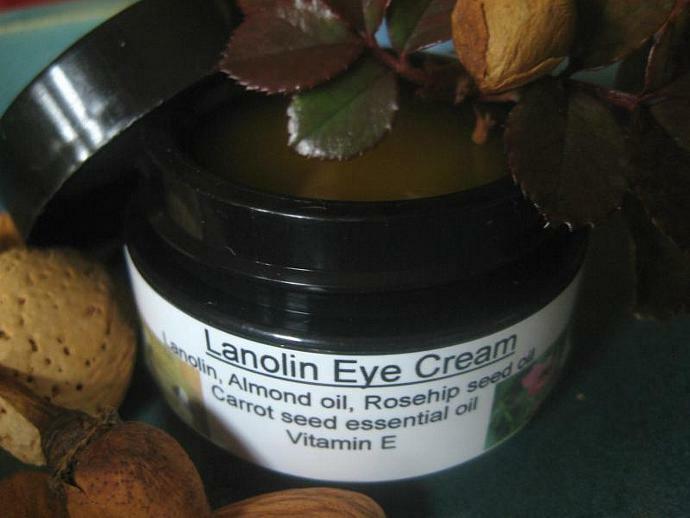 This Lanolin eye cream comes in a 1/2 oz plastic jar.